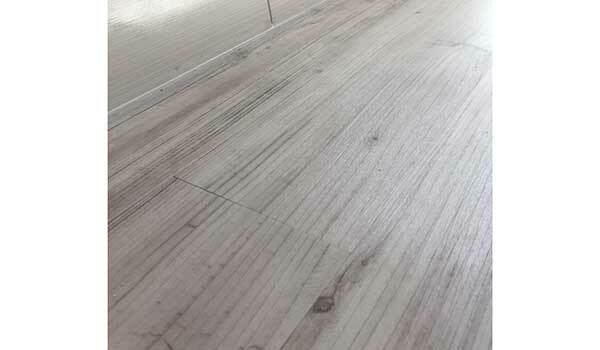 Description - Aged Wood Vinyl Planks offer a beautiful and realistic hardwood flooring look that is sure to add an inviting warmth to any space. Safe for installation on any level of the home, Aged Wood vinyl can go where traditional woods cannot. Antimicrobial, antibacterial, and easy to clean and maintain, you'll spend more time loving the floors than cleaning them. Material – A resilient vinyl backing and core topped with a thick commercial grade wear layer and silver nano antimicrobial surface. 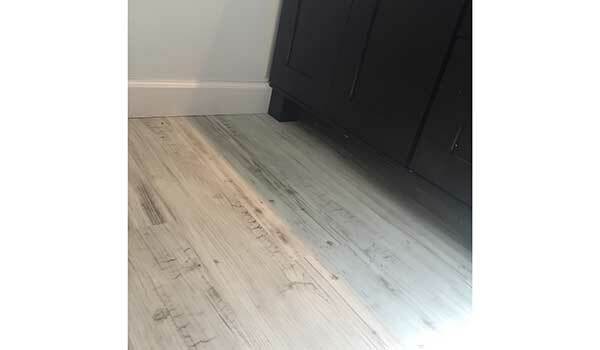 Recommended Uses – Aged Woods planks have been successfully installed in basements, bathrooms, commercial office spaces, waiting rooms, breakrooms, hallways, bathrooms, laundry spaces, kitchens, libraries, boutiques, restaurants, and more. Any recommendation for a home with a small dog? 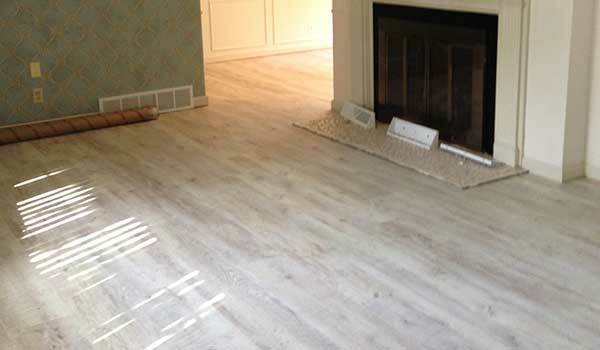 These planks feature a thick, 22MIL wear layer for ultimate protection. It is always recommended to keep pet nails trimmed up to keep your floors looking wonderful. 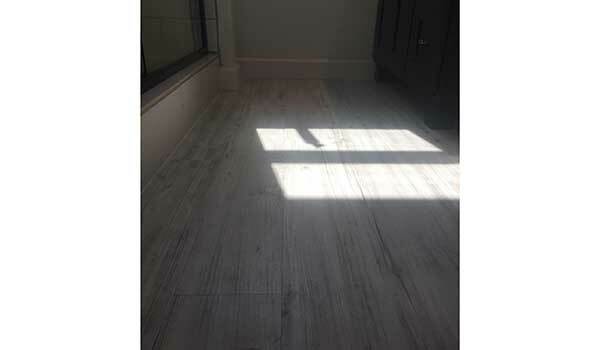 The floor was wonderful and easy to install. I've attached a few pictures! So simple and easy to install. I love the old fashion look. We just bought our first home earlier this year and we are going to do upgrades as we have the time and budget for it. The first thing on my list was flooring for the laundry room and my master bathroom. I did a lot of sampling and price comparisons between many websites before my husband and I decided to go with a trendy grey look and we did both rooms for under $500! Thank you FlooringInc.com, I will be back for more upgrades in the future!